Designed For The First Time Laser-Kit Builder. Featuring simple construction methods, plastic windows and doors, white-metal details, printed signs and complete instructions, this simple-to-build kit means Magee will be overcharging customers on your layout in no time! 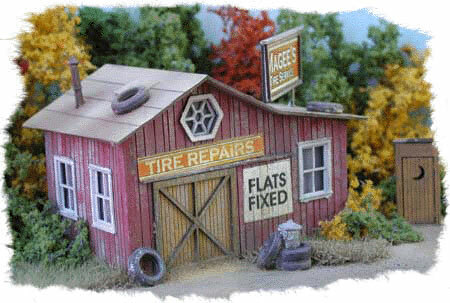 Copy this Magee's Tire Service to your MY ACCESSORIES roster.